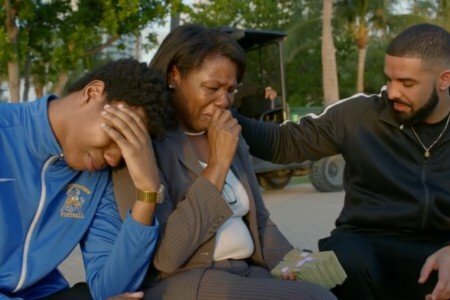 A lot of people are talking about Drake at the moment and his awesome new video for hit song “God’s Plan.” It starts off with an explainer: “The budget for this video was $996,631.90. We gave it all away. Don’t tell the label.” It then documents Drake‘s random acts of kindness to people in need….